Indeed, the rapid-fire emergence of “smart manufacturing” is quickly reshaping the landscape and will soon be “de rigueur” for companies committed to leveraging real-time business intelligence to reduce costs, improve efficiencies and speed up the time to market, just to name a few objectives. As we transition into a smart manufacturing world, ERP systems are quickly evolving in order to process ever-increasing volumes of data that arrive through countless connection points. Users throughout the enterprise require real-time access to relevant data and the ability to instantly communicate with their peers … anytime and anywhere. Speed and agility are de facto requirements in this new paradigm and the right ERP systems will be up to the task. 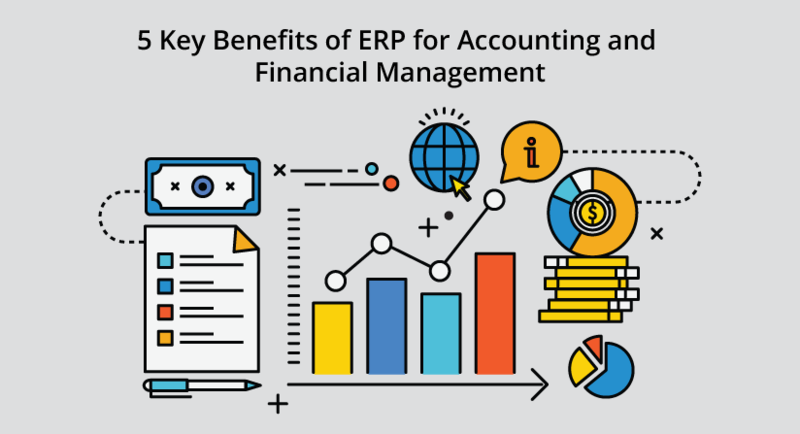 ERP systems are becoming more flexible so they can leverage an ever-expanding array of third-party extensions or add-ons. These tightly integrated systems work in concert to deliver deep visibility into all business processes across the enterprise and into the supply chain. In addition, when an issue arises in one area of the business, these more robust ERP systems can deliver real-time alerts to the appropriate personnel in related areas, enabling them to take immediate corrective action. For example, a sudden interruption to one part of a production process can have a ripple effect throughout the enterprise as raw materials, quality assurance, inventory and so many other areas may be affected. Your ERP system should be able to alert all the applicable personnel about the issue at hand, enabling them to make a quick, well-informed decision based on all the available intelligence, fix the problem and keep production on schedule. We’ve covered this topic before, but it bears repeating – the cloud is the way to go vs. on-premise ERP implementations. In summation, the cloud saves money, eliminates IT headaches, greatly increases agility and flexibility and offers exponentially greater storage capacity to facilitate the processing of ever-increasing volumes of data from a multitude of inputs. This last point is of tremendous importance because manufacturers have an opportunity to invest their savings from a cloud implementation into possible expansion into lean new facilities that are near to important long-term customers or niche markets. Of course, the cloud also means that you’ll never have to worry about obsolescence since your software will be automatically updated and you’ won’t lag behind the technology curve. This point is so important we have already devoted two entire blogs to it. Suffice it to say, if you’re a manufacturer and you don’t have an ERP that is fully mobilized, you’re likely operating at a sizable competitive disadvantage. As noted in the previous blogs, mobile ERP keeps everyone fully informed and on the same page … instantly. Personnel throughout the enterprise can access data 24/7 through their laptops, tablets and smart phones and stay engaged. Whether you’re out in the field on a sales call, in the warehouse or in the production facility or in a high-level management meeting, everyone is more fully enrolled in their processes and decision-making is faster and better informed. Terms such as “big data” or “big data analytics” are now commonplace in the manufacturing sector. What does it all mean and why does it matter? Over the last decade, the concept of big data and the technologies that support it have been rapidly gaining traction. During this period, ERP solutions have been evolving to take advantage of big data’s immense capabilities and there is increasing evidence that manufacturers are reaping the benefits – greater efficiencies, reduced costs and enhanced ROI. ERP and big data can team up to enable manufacturers to access a dizzying amount of information from thousands of inputs to gain a precise assessment of the state of their operations. Data from the shop floor, inventory, sales, customer satisfaction, etc. are instantly available and can be accessed and interpreted to get a clear picture into any aspect of the business. Working together, a robust ERP system that leverages the potential of big data improves tracking of quality throughout the supply chain and the manufacturing process. This allows manufacturers to catch problems faster and make adjustments so that production stays on schedule. The one-two punch of ERP and big data deliver a more crystalline view over the entire supply chain than ever before. The incorporation of big data into a robust ERP solution makes it possible to detect issues with quality, shipping, equipment, etc. faster and take corrective action. According to Louis Columbus in his article entitled Ten Ways Big Data Is Revolutionizing Supply Chain Management. Big data and advanced analytics provide a gateway to actionable metrics, which, in turn, generate key performance indicators (KPI’s) that can provide a macro view of plant operations and drill all the way down into the details of specific manufacturing processes. Together, they can form a bridge between daily production activity and financial performance, leading to more effective decision-making by management. For example, the ability to access data at the machine level helps to assess the efficiency of the shop floor. The Internet of Things (IoT) is a catchy buzz-phrase that has swiftly become a part of the mainstream high-tech lexicon. As a brief introduction to the concept, technologies utilizing IoT are capable of drilling down to a level in which each production unit can be monitored at every step of the production process. IoT has likely had a greater impact on the manufacturing sector than anywhere else. In fact, according to a TATA Consultancy Services survey, manufacturers utilizing IoT solutions in 2014 saw an average 28.5% increase in revenues between 2013 and 2014. It’s safe to say that the way manufacturing captures and processes data is changing at warp speed and those who are willing to invest in “smart,” innovative technologies are going to reap the rewards, enjoy higher ROI’s and secure competitive advantage. Knowledge is power and speed in this arena and we encourage you to stay informed on the latest developments and get smart when the time is right.